My name is Evelyn Kendix. I am junior Studio Art major, with a minor in Art History. I worked at the Shed as a curatorial intern, helping artists, assisting the head of the gallery, and doing general artistic duties. Additionally, I got to explore Columbus’s vast and fast changing art scene. I was able to stretch my abilities during this internship. Form woodwork to social media, I learned lots! I was able to expand my network of art connections through Blake Turner’s vast network of OSU artists and graduate students. I was able to connect with Ann Hamilton, a long term inspiration of mine, along with other artists who fascinated me. I worked on multiple exhibitions, including working with textiles, paint, printmaking, and videography. Each day was different at the Shed. Sometimes it was manual labour of construction, sometimes it was more conceptual research. I learned how to better talk about my personal artwork, through listening to others discuss their work. This was a big goal for me, so it was very satisfying to be able to achieve this. I would like to acknowledge Blake Turner in this blog post. He was my boss, but beyond that, a mentor. I feel comfortable saying that he was more than authority figure, I would consider him an influence in my artwork and my general practices. Additionally, thank you to the Denison Studio Art Program, Art History program, and the Knowlton Center for assisting me in connecting with Blake. My name is Jiaxin Liu. I now am a senior in Studio Art major, Economics minor. During the past summer, I did my internship in Columbus Museum of Art in Columbus, Ohio. During the two and half months’ internship, I worked as a Summer Art Workshop intern. Except helping with all the summer art workshops, I also helped with several programs in the museum such as Artful Adventures and Museum on the Move. I expected to explore more about the positions in the museums and galleries and know what do those staffs typically do. I also wanted to gain more experience working in the art field. I am very happy that achieved what I expected during the past summer. For this internship, I gained more knowledge about the museum such as “how many departments art museums often have” and “what kind of program a visitor can participate in the museum”. I also got a lot of inspiration on art making surrounded by great artworks. Because of helping with art workshops in different theme, I learned many new art making skills that I haven’t learn in class. One of the greatest thing during this internship is I learned to work with diverse groups and individuals. It made me feel more confident working with others. I learned a lot; explored a lot; and gained a lot during this summer internship. I really appreciate that Knowlton Center helped me on getting this internship. I also feel thankful that Denison generously support me with the stipend to achieve my goal. My name is Adriana Kidon and I’m currently a junior student here at Denison studying PPE. This past summer, I had the awesome opportunity of interning at Musee Magazine in New York City. Musee is a photography-based, digital quarterly magazine and website that features works by emerging and established artists. I served as an editorial intern for the magazine as well as a personal assistant for the Editor in Chief, Andrea Blanch, accomplished and prominent commercial and fine art photographer involved most famously with Vogue, Elle, and Rolling Stone magazines. Working both of these positions simultaneously really helped me learn what I like, do not like, and ultimately, gave me a clearer picture of what I want to do in my future. As a personal assistant, I handled personal and office phone calls/emails, managed calendars and intern schedules, scheduled interviews with potential new hires, and maintained physical and digital database files to ensure office organization. All of these tasks are certainly crucial in order to maintain any publication, but I found that it was not something I enjoyed. I felt my creativity was a bit dulled when I had to spend a day managing mundane organization tasks. On the other hand, I found my spark as an editorial intern. In this position, I worked as a writer and editor for the magazine. I researched emerging and established artists to be featured in future issues and developed new content on photographers, gallery exhibitions, and the current environment of contemporary photography to be published in the quarterly magazine and on the magazine’s website. Additionally, I got the chance to proofread and copy-edit colleagues’ works for grammatical errors and qualitative revisions. I really found my passion in writing and now know that it is something I’d truly like to go into in some shape or form. Many people may daydream about what it would be like to work for Michael Scott, the lovable, but ridiculous character from the acclaimed show, The Office. But looking back… I quite literally did. And here’s how it all played out. There to clean the office space; the thought that interns are like little Wall-E robots that clean up everything in sight to keep the community kitchen spick and span. There to be treated unfairly or bossed around doing things. How mean! Though I did encounter the occasional “intern moment”, overall, my internship experience could not be further from the stereotype. At Carousel, I was encouraged to ask questions, come up with new and exciting ways to approach my work, and to learn the ropes of the wonderful, but sometimes cut-throat world of entertainment. And with all the moments, the ups and downs and all arounds… I loved every moment. From day one, my wonderful and inspiring supervisor, Kiran Subramaniam, and production company higher-ups, Campbell Smith and Kate Zabinsky, treated me as a professional equal, valuing my work from the very beginning. For that, and so much more, I am thankful for their guidance, respect, and the experience. I learned that being an intern does not have to mean being bossed around or rudely chastised for trying to learn. Instead, my experience at the production company was very educational. Everything I didn’t know, I asked about and was told happily. Everything I knew was built up to be even better than I originally brought forth. Though not all entertainment companies are this straightforwardly educational and Carousel was still very professionally serious, my process to integrate myself into the entertainment world was welcomed rather than being drowned out by competitive nature and a need to put others down. As an actress and a creative writer, I got to grow in every facet of my creative self. A typical day at work would include me picking up an onion bagel and a matcha latte from the next door Whole Foods (which was actually 50 steps away from my office), coming in early to clean the kitchen and prep the office space (out of choice, not because I had to), and to read the daily entertainment trades online to find relevant articles for the company. Then, I specifically had to read scripts all day, write comprehensive summaries and reviews of them, and had to give my God-honest opinions. It was a lot of time and effort at work, but the opportunity to read other working writer’s work and to even envision myself playing roles in the scripts I read was worthwhile to learn what I saw as inspiring creative work and to come to the realization that there are so many stories to be told that never get picked up by production companies. It’s a harsh reality. I learned that precision, development, and creativity comes into play full force when trying to get a television show or film picked up by a production company. But, once a script strikes a chord with a group of people… then you’ve got something. Let me also tell a very important story about connections. You know how President Weinberg always says, so thoughtfully and often, that “Relationships run deep here at Denison”? Well, let me tell you… He could not be more on point about the sentiment. I had discovered Denison University after looking up where my favorite actors/actresses went for their college experiences. Lo and behold, Steve Carell went to Denison. Though skeptical, and really thinking I was dead-set on going to a conservatory acting program, I visited Denison on the sheer whim that Steve Carell went there (and the campus looked devastatingly beautiful). After visiting the campus, I knew it was the place for me. How could you resist the Fall leaves and the Denison Deer and chipmunks? Flash forward to the near-end of my Sophomore year. I was starting late to look for a summer internship though I had wanted one desperately. The rest of my year had been taken up by writing, producing, and directing my very first full-length show and slew of health issues… So stress was in full bloom. One of my sorority sisters, the very talented Erin Dunlap (’17), ended up meeting with me to talk about her experience interning in L.A, which happened to be at Carousel. Though I was looking for guidance and for stories that would solidify my yearning to work in Los Angeles, I ended up making a contact with one of my very good friends that ultimately ended up leading to applying for Carousel Productions. I am forever thankful for getting the opportunity to work at such an amazing place and for getting to work alongside The Man, The Myth, The Michael Scott himself, Steve Carell. I even got to meet him in all his glory; a sweet and down-to-earth Denisonian. I feel like my Denison journey came full circle in an unexpected, but meaningful way in the regard. My connections continued throughout my internship, as I was interning alongside 8 other people, all different ages, and at different points in their careers. My internship taught me teamwork and compromise, especially when we all decided to work on our final film project, filming, acting, and producing our very own “Spaghetti Western” film at Paramount Ranch (and old Hollywood Wild West set, turned park in Malibu). One of my friends loved cinematography. Another friend just wanted to be a part of the entertainment industry in any way she could. I have made friendships and connections with these people on a deep level that I will take with me after I leave Denison. I have to thank everybody at Carousel Productions who made my summer the best one yet. Kiran Subramaniam, Campbell Smith, and Kate Zabinsky (and her dog, Tuck), are amazing human beings who work so hard in an industry that most often does not highlight women’s writing and work. Of course, I must thank Steve Carell, for letting me intern at his wonderful company. He is very talented in so many ways, not just being “that funny guy on The Office” or “the robber guy from Despicable Me”. I also have to thank everybody who shared the office with me (as well as the other interns): The Queen Sugar cast, the writers for potential development, etc. You guys made this summer the most magical and let me run with my passions full force. So… the takeaways of my experience interning? Always take the extra steps to know that you care during your internship. Come in early. Offer help even when you aren’t asked. Search early for internships. Though I ended up landing my dream internship, I almost lucked out. The early bird gets the worm. Relationships do run deep at Denison. Cherish them and nurture them. Make those connections that mean the most to you, personally and professionally. And finally, find a career path that makes your heart happy and your mind at ease. Find your passions and your interests and run with that. My name is Celena Gilmore and I am a senior member of the BFA program with a minor in education. This summer I completed two internships in Los Angeles. I always love to challenge myself by entering new environments and putting myself in complex but ultimately rewarding situations. This summer was a prime example as I, a small town girl from rural Ohio, headed to Los Angeles, California to experience the west coast for the first time in my life. With the help of Melanie Murphy and the resources of the Knowlton Center, I was able to find two amazing internship opportunities. One was with Jack Rutberg Fine Arts as a Gallery Intern. I had already obtained experience in art galleries, but I knew from experience that each gallery has new information to offer about their methods. What was amazing about this experience is that I was able to work alongside the entrepreneur himself. Jack guided me through their categorization system along with other staff. I was responsible for entering new works, keeping track of works that were being loaned out to other venues or exhibits, and sold works. When works were being sold or loaned, I was responsible for keeping track of all pieces that were being taken, and ensuring their safe arrival/return. My overall responsibility was to assist in all facets of gallery work. The second internship I had was with one of the largest artist residency programs in California, 18th Street Arts Center. I was a Developments Intern, and to be honest, I was not entirely sure what this meant when I accepted the position. However, I wanted experience with nonprofit arts organizations. I was lucky to have such an amazing supervisor, Joy Kliewer. She is a freelance development director who was commissioned by 18th Street. She was always excited about showing me all that goes into making this organization function, especially in regards to making asks and applying for grants. My role was to help research donors and create profiles that will be used for making asks. Every donor was treated equally no matter the amount that they gave. For each donation, i was then responsible for creating thank you letters, distributing donor gifts and matching gifts, and keeping a steady and open correspondence with all contacts. I also contributed to the grant writing process by creating templates and beginning the process of the grant applications. I would research information about the organization, specific artists in residence, and upcoming projects in order to ensure that I was putting the most relevant information into the applications. No matter the project, Joy made sure that I was involved so that I would have the fullest and most holistic experience possible. Through these internships, I have not only learned many diverse and highly applicable skills, but I have also made valuable and meaningful connections with individuals both in the gallery management and nonprofit fields. I am Julia Tallant, and I am a sophomore Studio Art and Spanish double major. This past summer I was lucky enough to be able to intern with a fair trade photography company in Huanchaco, Peru, where I spent about 3.5 months living and working. The basis of the company I interned for (FairMail) was to provide underprivileged Peruvian teenagers with DSLR cameras and to train them to take photos for greeting cards, and the teenagers receive 60% of the profits to use for their education, housing, and healthcare. I was responsible for teaching photography classes 3 times a week and offering make up lessons for the kids who couldn’t make it. I created presentations introducing different themes and topics for each week. My favorite topic was our three-week unit on animals during which we had puppies in class every day. I would also give suggestions to the kids on how they could improve their photos and make them more appealing to potential customers, and I also selected the photos to be sent to my bosses in Europe so that they could select the final greeting cards. I spent my final week with the bi-annual FairMail photography trip. Four of the teenagers with the best conduct were selected to go on the trip to a city in northern Peru with me, one of the owners of FairMail, a volunteer, and two tourists. The purpose of these trips is to give the kids more opportunities to take photos that can be become greeting cards and to also give them the opportunity to get to know different parts of their country. During that week, I taught them about the Principles of Design, which are fundamental guidelines for creating a successful work of art that I learned a lot about in my Denison art classes. I was very lucky to work with talented instructors and a dedicated staff at FairMail. My first month and a half at FairMail, I co-taught the classes with my fellow instructor, Viky Bo. After she left, I realized how much work went into planning the lessons alone, and I am very grateful for her sharing that workload with me as I was starting out my internship. The two managers of the FairMail team, Angeles Acevedo Bobadilla and Anidela Rios Pizan, provided me with a lot of support throughout my internship, especially when it came to the more technical side with computers and what not, and I am very grateful for their patience and friendship. The two owners of FairMail, Peter Den Hond and Janneke Smeulders, answered a lot of my questions before I arrived to Peru and helped me a lot during the photography trip, and I am grateful for their support and suggestions on how to improve my teaching. My summer with FairMail has helped me realize how much I want to work in a creative field, especially one that is Spanish-speaking. Additionally, working with a company that puts bettering community it works with first and seeing the positive effects it has had on the community has inspired also challenged me to consider the field of International Development, which is something I had never thought about before I went to Peru. Overall, I think that this internship has challenged me to think about where I want to be in the future and helped me gain skills that I know I will use for the rest of my life. Fun Fact: I grew up on a horse farm. 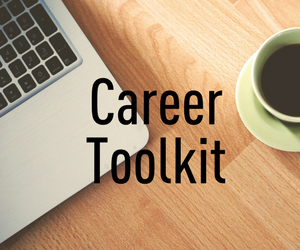 Describe the process you went through to select your career path: what impacted your decision? When I graduated from Denison I had no idea what I wanted to do as a career. I knew that I wanted to work with children, and that I loved art, so I used that as a starting point. I looked into different career options and stumbled upon art therapy. Art therapy seemed like a perfect way to combine my interests in psychology and medicine with my love of art. Even though it was unplanned, I had almost all the courses necessary to pursue the Master’s Degree required to be an art therapist. As I moved through my graduate work and narrowed my interest field, I was drawn to working in the medical environment. Art therapists practice anywhere that psychological services are offered, and I was drawn to the unique needs of pediatric patients undergoing hospitalized treatments. What are your favorite aspects of your profession? Easily, the best part of my job is getting to know patients and families. People think of children’s hospitals as sad places, and while of course some moments are sad, for the most part kids are just trying to be kids, and I can help build up coping skills, and process difficult moments through art. The kids and families that I work with are incredibly resilient and I am inspired by their strength on a daily basis. Art therapy is a greatly misunderstood profession, so it gets tiresome explaining that I’m not doing “crafts” with the patients, that I am a licensed counselor and that we are doing therapy, just using art instead of words. We are constantly having to justify our services. Describe what a typical day looks like for you. My days never look the same, which is one of the things that I love. There is no monotony. But “typically” I do a few hours of administrative work in the morning, answering emails, placing supply orders, etc. I spend late mornings either providing supervision for my intern or providing art therapy to patients in our outpatient hematology/oncology area. I usually have patient rounds or staff meetings over lunch. After lunch I have one-on-one bedside sessions with patients, mostly in our Pediatric Intensive Care Unit, Pulmonary unit (seeing patients with cystic fibrosis), Oncology unit, and with post-surgical and trauma patients. Once a week I have a scrapbooking support group with families with infants in our Neonatal Intensive Care Unit. The end of the day I spend charting on my sessions. I have to be self-motivated, and I work within a large multi-disciplinary department, collaborating with art and music therapists, child life specialists, school teachers, nurses, doctors, social workers, and chaplains. What advice would you give a student interested in pursuing your field? If you’re interested in pursuing a career in art therapy, as an undergraduate take as many different kinds of art classes as possible. It never ceases to amaze me how many classes I look back to when patients let their imaginations run, and we end up making giant sculptures, molds, sitting and painting, or drawing together. I also always think it’s a good idea to attend a professional conference in the field you’re thinking of pursuing. It’s an easy way to get an idea of what’s going on in the field, clarify any misconceptions, and meet people in the field.